How about a chiffon top with my beautiful purple rose with raindrops printed on it? A great treat for yourself, or a gift from someone special in your life. 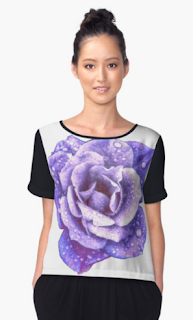 Order a chiffon top with purple rose from my Redbubble portfolio.